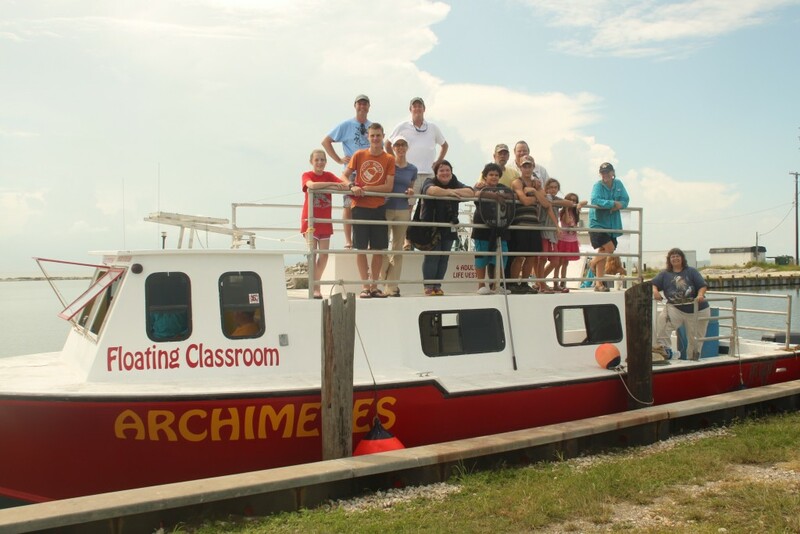 The San Antonio Bay Partnership is proud to bring the Floating Classroom to the San Antonio / Guadalupe Estuary System and to for an education program called “Estuary October”. 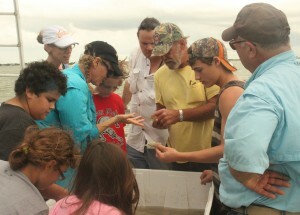 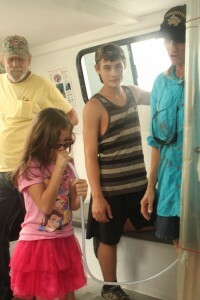 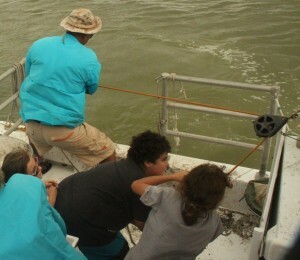 The program provides K-12 students living in the watershed of Guadalupe & San Antonio Rivers the opportunity to participate in a hands-on environmental education program that consists of two components: (1) trip into San Antonio Bay aboard the Texas Floating Classroom vessel and (2) on-shore educational activities to supplement the lessons taught during the boat trip. 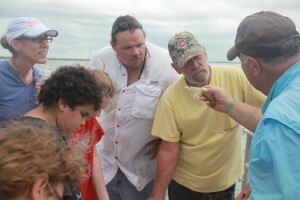 Students experience the wonders of local waters first hand, but more importantly, they will be encouraged to consider the important role that they play in the conservation of our coastal resources. 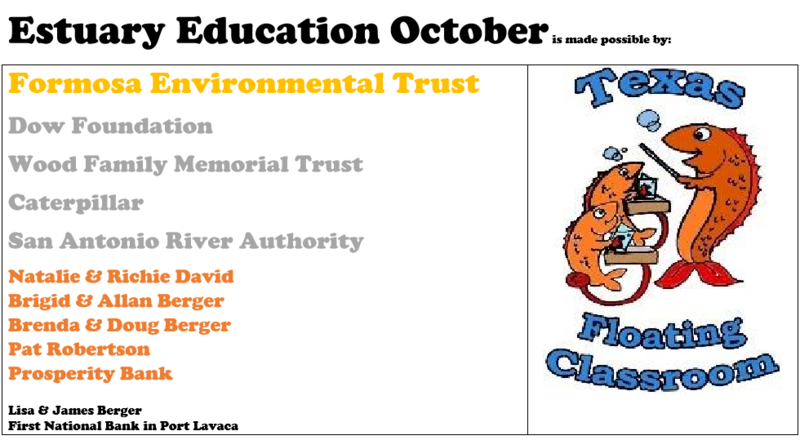 See photos and read about the 2018 Estuary October Floating Classroom. 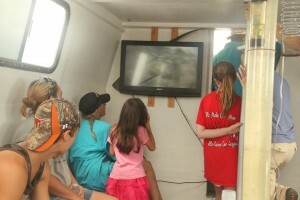 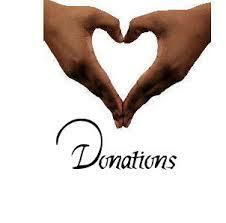 Contact Allan Berger to be included in next year’s Floating Classroom.